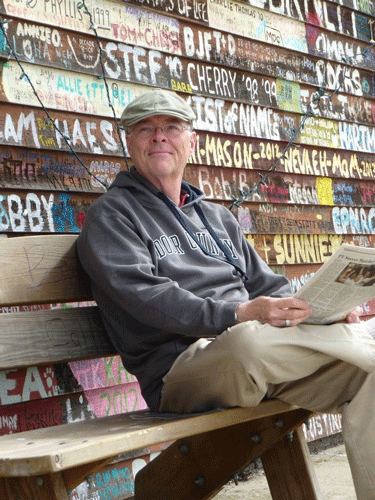 Welcome to the Vacation 2013 issue of the Observer. 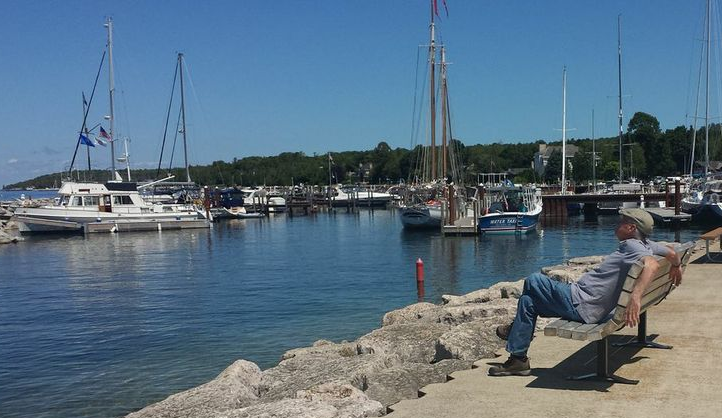 I’ve spent the past two weeks of July and the first days of August enjoying myself in Door County, the Cape Cod-like peninsula above Green Bay. I’ve done substantial damage to two Four Berry pies from Bea’s Ho-made Pies (jokes about the makers of the pie have been deleted), enjoyed rather more Leinies than usual, sailed on a tall ship, ziplined (ending in a singularly undignified position), putt-putted, worked with my son on his pitching, hiked miles and learned rather more than I cared to about alewives, gobies and lake levels. I did not think (much) about mutual funds, Mr. Market, my portfolio, or the Dow’s closing level. Indeed, I have no idea of what the market’s been doing. We have published some dozens of profiles of new, distinguished and distinctive funds in the past couple years (click on the Funds tab if you’re curious). 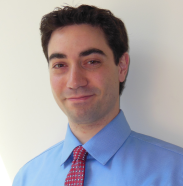 Charles Boccadoro, our Associate Editor, has been working on ways to make those profiles more organized and accessible. Here’s his take on one way of thinking about the collection. Would you ever need more than one long-short fund? By bits, investors have come to understand that long-short (and possible other alternative) funds may have a place in their portfolios. That’s a justifiable conclusion. The question is, would you ever want need more than one long-short fund? The lead story in our July issue made the argument, based on interviews with executives and managers are a half dozen firms, that there are at least three very distinct types of long-short funds (pure long/short on individual stocks, long on individual stocks/short on sectors or markets, long on individual stocks plus covered called exposure) . They have different strategies and different risk-return profiles. They are not interchangeable in a portfolio. The folks at Long-Short Advisors gave permission to share some fascinating data with you. They calculated the correlation matrix for their fund, the stock market and ten of their largest competitors, not all of which are pure long/short funds. By way of context, the three-year correlation between the movement of Vanguard’s Small Cap Index Fund (NAESX) and their S&P 500 Index Fund (VFINX) is .93; that is, when you buy a small cap index as a way to diversify your large cap-heavy portfolio, you’re settling for an investment with a 93% correlation to your original portfolio. This does not automatically justify inclusion of a second or third long-short fund in your portfolio, but it does demonstrate two things. First, that long-short funds really are vastly different from one another, which is why their correlations are so low. Second, a single long-short fund offers considerable diversification in a long-only portfolio and a carefully selected second fund might add a further layer of independence. Royce Value Trust (RVT) is a very fine closed-end fund managed by a team led by Chuck Royce. Morningstar rates it as a “Gold” CEF despite the fact that it has modestly trailed its peers for more than a decade. The fund has attracted rather more than a billion in assets. I invite you to a special stockholder meeting of Royce Value Trust Inc. to be held on September 5, 2013. At the meeting, stockholders will be asked to approve a proposal to contribute a portion of Value Trust’s assets to a newly-organized, closed-end management investment company, Royce Global Value Trust, Inc. and to distribute to common stockholders of Value Trust shares of common stock of Global Trust. And why would they “contribute” a portion of your RVT portfolio to their global fund? Although Value Trust and Global Trust have the exact same investment objective of long-term growth of capital, Value Trust invests primarily in U.S. domiciled small-cap companies while Global Trust will invest primarily in companies located outside the U.S. and may invest up to 35% of its assets in the securities of companies headquartered in “developing countries.” For some time, we have been attracted to the opportunities for long-term capital growth presented in the international markets, particularly in small-cap stocks. To enable Value Trust’s stockholders to participate more directly in these opportunities, we are proposing to contribute approximately $100 million of Value Trust’s assets to Global Trust. And why $100 million exactly? “The $100 million target size (approximately 8% of Value Trust’s current net assets) was established to satisfy New York Stock Exchange listing standards and to seek to ensure that Global Trust has sufficient assets to conduct its investment program while maintaining an expense ratio that is competitive with those of other global small-cap value funds.” So, as a portfolio move, RVT shareholders gain perhaps 4% exposure to small caps in developed foreign markets and 2% in emerging markets. Vulcan Value Partners, whose Vulcan Value Small Cap Fund we profiled. Highlights: C.T. Fitzpatrick – one of the few managers whose funds I’ve profiled but with whom I’ve never spoken – distinguishes Vulcan’s approach from the Longleaf (his former employer) approach because “we place as much emphasis on business quality as we do on the discount.” He also thinks that his location in Birmingham is a plus since it’s easier to stand back from the Wall Street consensus if you’re 960 (point eight!) miles away from it. He also thinks that it makes recruiting staff easier since, delightful as New York City is, a livable, affordable smaller city with good schools is a remarkable draw. Seafarer Capital Partners, whose Seafarer Overseas Growth & Income is in my own portfolio and to which I recently added shares. Grandeur Peak Global Advisors, whose Grandeur Peak Global Opportunities was profiled in February 2012 and about whom we offer a short feature article and two fund profiles, all below. Highlight: Lead manager Robert Gardiner and president Eric Huefner both began working for Wasatch as teenagers? (Nuts. I worked at a public library for $1.60/hour and was doing landscaping for less.) They reject the domestic/international split when it comes to doing security analysis and allow Mr. Gardiner to focus entirely on investing while Mr. Huefner obsesses about running a great firm. Okay, Barrons’ got it mostly right. They got the newest name of the fund wrong (it’s Reach, not Research), the photo caption wrong and a provocative quote wrong. Barron’s claimed that Gardiner is “intent on keeping Grandeur Peak, which is now on the small side, just shy of $1 billion under management.” Apparently Mr. Huefner said Grandeur Peak currently had a bit under a billion, that their strategies’ collective capacity was $3 billion but they’re apt to close once they hit $2 billion to give them room for growth. RiverPark Advisors, five of whose funds we’ve profiled, two more of which we’ve pointed to and one of which is in my personal portfolio (and Chip’s). Highlight: Mitch Rubin’s reflection on the failure of their first venture, a hedge fund “Our mistake, we realized, was trying to create strategies we thought investors wanted to buy rather than structuring the portfolios around how we wanted to invest” and Mitch Rubin’s vitally important note, “Managers often think of themselves as the talent. But the ability to run these businesses well takes real talent.” Ding, ding, ding, ding! Exactly. There are only a handful of firms, including Artisan, RiverPark and Seafarer, where I think the quality of the business operation is consistently outstanding. (It’s a topic we return, briefly, to below in the discussion of “Two questions for potential fund entrepreneurs.”) Lots of small firms handicap themselves by making the operations part of the business an afterthought. Half of the failure of Marx’s thought was his inability to grasp the vital and difficult role of organizing and managing your resources. 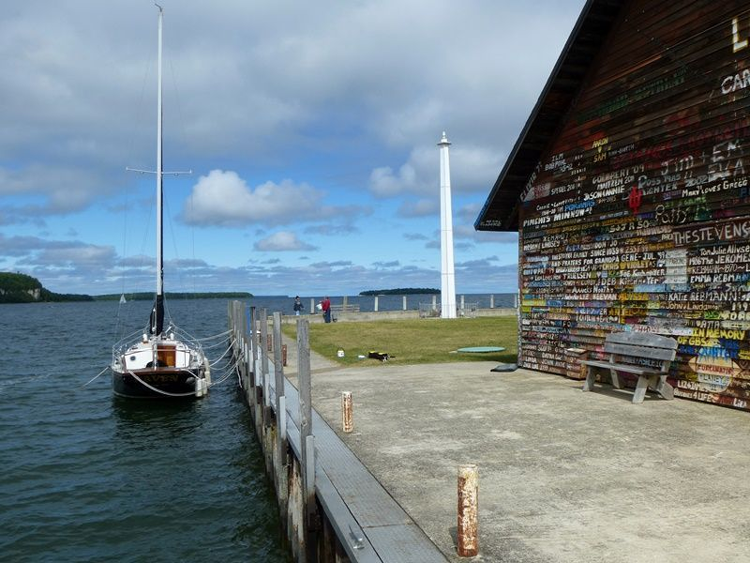 Will casting off at Anderson’s Pier in Ephraim, WI. Where will you find your first $100 million? And who’s got the 263 hours to spend on the paperwork? I’d expressed some skepticism about the claim in Barron’s (see above) that mutual funds need between $100 – 200 million in AUM in order to be self-sustaining. That is, to cover both their external expenses such as legal fees, to pay for staff beyond a single manager and to – here’s a wild thought – pay the manager a salary. In conversations over the past month with Andrew Foster at Seafarer and Greg Parcella at Long/Short Advisors, it became clear that the figure quoted in Barron’s was pretty reasonable. Mr. Foster points out that the break-even is lower for a second or third fund, since a viable first fund might cover most of the firm’s overhead expenses, but for a firm with a single product (and most especially an international or global one), $100 million is a pretty reasonable target. Which is to say, writing a prospectus is estimated to take six weeks. I’m gobsmacked. In the course of launching their new Global Reach fund, profiled below, Grandeur Peak decided to share a bit of their firm’s long-term planning with the public. Grandeur Peak’s investment focus is small- to micro-cap stocks. The firm estimates that they will be able to manage about $3 billion in assets before their size becomes an impediment to their performance. From that estimate, they backed out the point at which they might need to soft close their products in order to allow room for capital growth (about $2 billion) and then allocated resource levels for each of their seven envisioned strategies. President Eric Huefner remarks that “Remaining nimble is critical for a small/micro cap manager to be world-class,” hence “we are terribly passionate about asset capping across the firm.” With two strategies already closed and another gaining traction, it might be prudent to look into the opportunity. Grandeur Peak Global Opportunity (GPGOX): this now-closed star goes where few others dare, into the realm of global and emerging markets small to micro-caps. With the launch of its sibling, Global Reach, its portfolio is about to tighten and focus. Grandeur Peak Global Reach (GPGRX): this is the fund that Grandeur Peak wanted to offer you two years ago. It will be their most broadly-diversified, lowest-cost portfolio and will serve as the flagship for the Grandeur Peak fleet. LS Opportunity (LSOFX): Jim Hillary left Marsico in 2004 with a lot of money and the burning question, “what’s the best way to sustainably grow my wealth?” His answer was a pure long/short portfolio that’s served him, his hedge fund investors, his European investors, and his high net worth investors really well. LSOFX gives retail investors a chance to join the party. Sextant Global High Income (SGHIX): what do income-oriented investors do when The Old Reliables fail? Saturna Capital, which has a long and distinguished record of bond-free income investing at Amana Income (AMANX), offers this highly adaptable, benchmark-free fund as one intriguing option. Frank Value Fund (FRNKX) is not “that other Frank Fund” (John Buckingham’s Al Frank fund VALUX). It’s a concentrated, all-cap value fund that’s approaching its 10th anniversary. It’s entirely plausible that it will celebrate its 10th anniversary with returns in the top 10% of its peer group. What does the large-cap growth or small-cap value manager do when there are no good opportunities in their style box? They hold cash, which lowers your exposure to the equity markets and acts as a lead-weight in bull markets, or they invest in companies that do not fit their criteria and end up taking excess risk in bear markets. Neither one of these options made any sense when I was managing family-only money, and neither one made sense as we opened the strategy to the public through The Frank Value Fund. Our strategy is quantitative, meaning we go where we can numerically prove to ourselves there is opportunity. If there is no opportunity, we leave the space. It sounds simple, and it’s probably what you would do with your own money if you were an investment professional, but it is not how the fund industry is structured. If you believe in buying low-valuation, high-quality companies, and you allow your principles, not the Morningstar style-box to be your guide, I believe our fund has the structure and discipline to maintain this strategy, and I also believe because of this, we will continue to generate significant outperformance over the long-term. The fund’s minimum initial investment is $1,500. 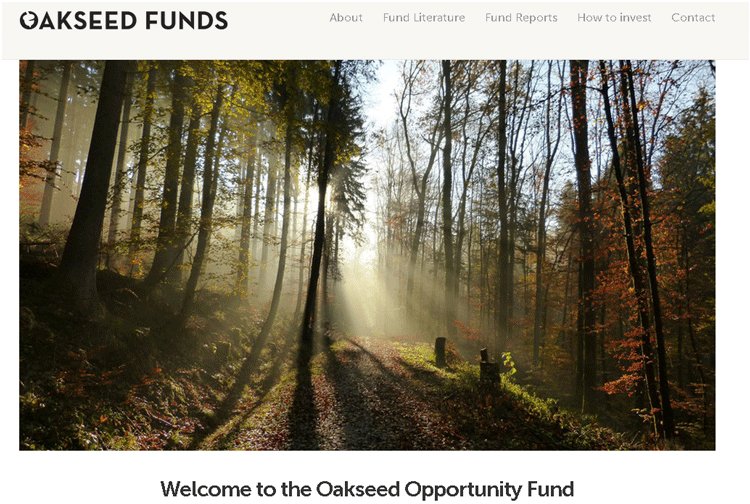 The fund’s website is clean and well-organized. Brian’s most-recent discussion of the fund appears in his Second Quarter 2013 shareholder letter, though you might also enjoy his rant about the perils of passive investing. Guinness Atkinson Inflation-Managed Dividend (GAINX) is about the most “normal” fund in GA’s Asia/energy/innovation-dominated line-up. Its global equity portfolio targets “moderate current income and consistent dividend growth that outpace inflation.” The centerpiece of their portfolio construction is what they call the “10 over 10” methodology: in order to qualify for consideration, a corporation must have demonstrated at least 10% cash flow return on investment for 10 years. By their estimation, only 3% of corporations clear this first hurdle. They then work their way down from a 400 stock universe to a roughly equally-weighted portfolio of 35 names, representing firms with the potential for sustained dividend growth rather than just high current yields. Morningstar reports that their trailing twelve-month yield is 3.02% while the 10-year U.S. Treasury sits at 2.55% (both as of July 17, 2013). In the environment of historically low bond yields, investors looking for income are concerned with the possibility of rising inflation and rising yields. We believe a rising dividend strategy that seeks either a rising dividend stream over time or the accumulation of shares through dividend reinvestment offers a systematic method of investing, where dividends provide a consistent, growing income stream through market fluctuations. Our investment process screens for sustainable dividend paying companies. For a company to pay a sustainable and potentially rising dividend in the future, it needs to generate consistently high return on capital, creating value each year, and distribute it in the form of a dividend. We therefore do not seek to maximize the yield of our portfolio by screening for high yield companies, but rather focus on companies that have robust business models and settle for a moderate yield. Companies generating consistent high return on capital exist all around the world, with 50% based in US. We also find a growing number of them in emerging markets. They also exist across industries and market capitalisations. Given their high returns on capital 90% of these companies pay dividends. Further, employing a bottom up value driven approach, we seek to buy these good companies when they are out of favour. The fund’s minimum initial investment is $10,000, reduced to $5,000 for tax-advantaged accounts. It’s available for $2500 at Fidelity and Schwab. GA is providing GAINX at 0.68%, which represents a massive subsidy for a $2 million fund. The fund fact sheet and its homepage include some helpful and concise information about fund strategy, holdings, and performance, as well as biographies of the managers. Given the importance of the “10 over 10” strategy to the fund’s operation, potential investors really should review their “10 over 10 Dividend Investment Strategy” white paper piece. February 2013: Tom Kerr, Rocky Peak Small Cap Value (RPCSX), whose manager has a 14 year track record in small cap investing and a passion for discovering “value” in the intersection of many measures: discounted cash flows, LBO models, M&A valuations and traditional relative valuation metrics. This is normally the space where we flag really interested funds which had become available to the public within the past 30 days. Oddly, two intriguing funds became legal in July but have not yet launched. This means that the fund companies might open the fund any day now, but might also mean that they’ll sit on the option for months or years. I’ve been trying, with limited success to uncover the back story. Robeco Boston Partners Global Long/Short Fund could have launched July 12. It will be a global version of their Long/Short Research Fund (BPRRX). When queries, a representative of the fund simply reported “they have yet [to] decide when they will actually launch the fund.” About the worst you can say about Long/Short Research is that it’s not as great as their flagship Robeco Boston Partners L/S Equity Fund (BPLEX). Since launch, BPRRX has modestly trailed BPLEX but has clubbed most of its competitors. With $1.5 billion already in the portfolio, it’s likely to close by year’s end. The global version will be managed by Jay Feeney, Chief Investment Officer-Equities and co-manager of Long/Short Research, and Christopher K. Hart. $2500 minimum investment.3.77%, the only redeeming feature of which is that institutional investors are getting charged almost as much (3.52%). The recent (July 1) acquisition of 90.1% of Robeco by ORIX might be contributing to the delay since ORIX has their own strategic priorities for Robeco – mostly expanding in Asia and the Middle East – but that’s not been confirmed. Sarofim Equity (SRFMX) didn’t launch on July 1, though it might have. Sarofim sub-advises the huge Dreyfus Appreciation Fund (DGAGX) whose “principal investment strategies” bear to striking resemblance to this fund’s. (In truth, there appears to be a two word difference between the two.) DGAGX is distinguished by its negligible turnover (typically under 1%), consistently low risk and mega-cap portfolio (the average market cap is north of $100 billion). It typically captures about 80% of the market’s movements, both up and down. Over periods of three years and longer, that translates to trailing the average large cap fund by less than a percent a year while courting a bit under 90% of the short-term volatility. So why launch a direct competitor to DGAGX, especially one that’s priced below what Dreyfus investors are charged for their shares of a $6 billion fund? Good question! Dan Crumrine, Sarofim’s CFO, explained that Sarofim would like to migrate lots of their smaller separately managed accounts (say, those with just a few hundred thousand) into the mutual fund. That would save money for both Sarofim and their clients, since the separate accounts offer a level of portfolio tuning that many of these folks don’t want and that costs money to provide. Dan expects a launch sometime this fall. The fund will have a $2500 minimum and 0.71% expense ratio after waivers (and only 0.87% – still below DGAGX – before waivers). Sarofim will not market the fund nor will they place it on the major platforms since they aren’t seeking to compete with Dreyfus; they mostly need a “friends and family” fund to help out some of their clients. This has, with other firms, been a recipe for success since the funds don’t need to charge exorbitant amounts, are grounded in a well-tested discipline, and the managers are under no pressure to grow assets. Funds in registration this month won’t be available for sale until, typically, the end of September 2013. There were 12 funds in registration with the SEC this month, through July 15th. We’ll catch up on the last two weeks of July and all of August in our September issue; we had an early cut-off date this month to accommodate my vacation. The re-emergence of Stein Roe. Stein, Roe&Farnham, founded in 1932, had a very well-respected family of no-load funds, most notably Stein Roe Young Investor. There was much drama surrounding the firm. Terrible performance in 1999 led to management shake-ups and botched mergers. Columbia (formerly FleetBoston Financial, then an arm of the Bank of America, later bought by Ameriprise which itself used to be American Express Financial Advisers – jeez, are you keeping a scorecard?) bought the Stein Roe funds in 2001, first renaming them and then merging them out of existence (2007).Somewhere in there, Columbia execs took the funds hip deep in a timing scandal. In 2004, Stein Roe Investment Council – which had been doing separate accounts after the departure of its mutual funds – was purchased by Invesco and became part of their Atlantic Trust private investment group. In the last two months, Stein Roe has begun creeping back into the retail, no-load fund world as adviser to the new family of AT funds. Last month it announced the rebranding of Invesco Disciplined Equity (AWIEX) as AT Disciplined Equity. 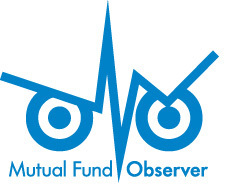 This month it’s added two entirely new funds to the line-up: AT Mid Cap Equity Fundand AT Income Opportunities Fund. The former invests in mid-cap stocks while the latter pursues income and growth through a mix of common and preferred stocks and bonds. The minimum initial investment is $3000 for either and the expense ratios are 1.39% and 1.25%, respectively. The first fund to advertise training wheels. Baron is launching Baron Discovery Fund, whose market cap target is low enough to qualify it as a micro-cap fund. It will be co-managed by two guys who have been working as Baron analysts for more than a decade. Apparently someone at Baron was a bit ambivalent about the promotion and so they’ve created an entirely new position at the fund: “Portfolio Manager Adviser.” They’ve appointed the manager of Baron Small Cap, Cliff Greenberg, to make sure that the kids don’t get in over their heads. His responsibility is to “advise the co-managers of the Fund on stock selection and buy and sell decisions” and, more critically, he’s responsible “for ensuring the execution of the Fund’s investment strategy.” Uhh … what does it tell you when the nominal managers of the fund aren’t trusted to execute the fund’s investment strategy? Perhaps that they shouldn’t be the managers of the fund? Make no mistake: many funds have “lead” managers and “co-managers,” who presumably enact the same sort of mentorship role and oversight that Baron is building here. The difference is that, in all of the other cases that come to mind, the guy in charge is the manager. The minimum initial investment is $2000, reduced to $500 for accounts set up with an AIP. Expenses not yet announced. On a related note, we also tracked down a near-record 64 fund manager changes. Freakishly, that’s the exact number of changes we identified last month. Investors should take particular note of Bill Frels’ year-end departure from Mairs and Power and Jesper Madsen’s impended exit from Matthews and from the finance industry. Both firms have handled past transitions very smoothly, but these are both lead managers with outstanding records. We are thrilled to have just completed our third year for the composite. The mutual fund track record is now just a bit over two years. Based on the Sharpe ratio, our composite ranks as the #1 strategy (attached with disclosures) of all 129 funds in the Morningstar Long-Short category over the past three years. We like what legendary investor Howard Marks wrote about the Sharpe ratio on page 39-40 of his 2011 masterpiece The Most Important Thing, “…investors who want some objective measure of risk-adjusted return…can only look to the so-called Sharpe ratio…this calculation seems serviceable for public market securities that trade and price often…and it truly is the best we have (my emphasis)”. We’ve grown our AUM from $8 MM at the beginning of 2013 to $81.7 MM as of [mid-July, 2013]. We are very pleased to have returned +14.1% annualized (gross) versus the Russell 3000 at +18.6% over the past three years with just [about] 45% of the volatility, a beta of 0.36, and a maximum drawdown of [about] 7.65% (vs. 20.4% for the Russell 3000). Their long/short strategy has a nicely asymmetrical profile: it has captured 59% of the market’s upside but only 33% of the downside since inception. ARLSX, the mutual fund which is one embodiment of the strategy, strikes us as one of three really promising “pure” long/short funds. Folks anxious about abnormal market highs and considerable sensitivity to risk might want to poke around ARLSX’s homepage. There’s a separate and modestly more-detailed discussion on the River Road Asset Management Long-Short Equity Strategy homepage, including a nicely-done factsheet. Mr. Park mentioned that neither of them much liked marketing. Uhhh … it shows. I know the guys are just starting out and pinching pennies, but really these folks need to talk with Anya and Nina about a site that supports their operations and informs their (prospective) investors. Welcome, indeed. Nicely done, guys! ING International Growth Fundbecame ING Multi-Manager International Equity Fund (IIGIX) on July 1, 2013. More Marsico fallout: the nice folks from Marsico Capital Management were shown the door by Harbor International Growth (HIIGX) in May. Baillie Gifford pulled two managers from the ING fund to help manage the Harbor one. ING then decided to add Lazard and J.P. Morgan as sub-advisers to the fund, in addition to Baillie Gifford and T. Rowe Price. As of August 1, TIAA-CREF LIFECYCLE FUNDS added TIAA-CREF International Opportunities Fund to their investable universe and increased their exposure to international stocks. As set forth more fully below, effective as of August 1, 2013, Teachers Advisors, Inc. has increased the maximum exposure of the Funds to the international sector. In addition, the Advisor has begun investing in the and, effective August 1, 2013, the international component of each Fund’s composite benchmark has been changed from the MSCI EAFE® + EM Index to the MSCI ACWI ex-USA® Index. Hmmm … a bit thin this month. The folks at Fleishman/Hillard report that Cognios Market Neutral Large Cap (COGMX) has been added to the Charles Schwab, Fidelity and Pershing platforms. It’s a new no-load that’s had a bit of a shaky start. The chocolate industry’s history is riddled with problems related to child slavery on African cocoa bean farms. Everence, through its Praxis Mutual Funds, is actively working with chocolate companies to address the conditions that lead to forced child labor. For the last three years, Praxis has co-led shareholders in working with Hershey – one of the world’s largest chocolatiers – to shape new solutions to this long-standing problem. Their Intermediate Income Fund (MIIAX) has purchased $2 million in International Finance Facility for Immunisation (IFFIm) bonds, funding a program which will help save millions of children from preventable diseases. Okay, those aren’t wins for investors per se but they’re danged admirable pursuits regardless and deserve some recognition. Fidelity will close Fidelity Ultra-Short Bond (FUSFX) to most investors on Aug. 2, 2013. It’s one of the ultra-short funds that went off a cliff in last 2007 and never quite regained its stride. Given that the fund’s assets are far below their peak, the closure might be a sign of some larger change on the way. Artisan is closing Artisan Small Cap (ARTSX), the flagship fund, on August 2nd. This is the second closure in the fund’s history. In October 2009, Artisan rotated a new management team in: Andrew Stephens and the folks responsible for Artisan Midcap. Since that time, the fund’s performance has improved dramatically and assets have steadily accumulated to $1.2 billion now. Artisan has a long tradition of closing their funds in order to keep them manageable, so the move is entirely laudable. Marsico has gotten the boot so often that they’re thinking of opening a shoe store. The latest round includes their dismissal from the AST Marsico Capital Growth Portfolio, which became the AST Loomis Sayles Large-Cap Growth Portfolio on July 15, 2013. This is the second portfolio that AST pulled from Marsico in recent weeks. The firm’s assets are now down by $90 billion from their peak. At the same time, The New York Times celebrated Marsico Global (MGLBX) as one of three “Mutual Funds that Made Sense of a Confusing Market” (July 6, 2013). Invesco Global Quantitative Core (GTNDX) changed its name to Invesco Global Low Volatility Equity Yield on July 31, 2013. Compak Dynamic Asset Allocation Fund (CMPKX) will be liquidated on or about September 13, 2013. It closed to all new investment on July 31, 2013. It’s a little fund-of-funds run by Moe and Faroz Ansari, both of whom appear to be interesting and distinguished guys. High expenses, front load, undistinguished – but not bad – performance. Invesco Dynamics (IDYAX) merged into Invesco Mid Cap Growth (VGRAX) and Invesco Municipal Bond (AMBDX) merged into Invesco Municipal Income (VKMMX). Lord Abbett Small Cap Blend Fund melted into the Lord Abbett Value Opportunities Fund (LVOAX) on July 19, 2013. The fact that Value Opps doesn’t particularly invest in small cap stocks and has struggled to transcend “mediocre” in the last several years makes this a less-than-ideal merger. My favorite liquidation notice, quoted in its entirety: “On July 31,2013, the ASG Growth Markets Fund (AGMAX) was liquidated. The Fund no longer exists, and as a result, shares of the Fund are no longer available for purchase or exchange.” It appears mostly to have bet on emerging markets currencies. Over its short life, it managed to transform $10,000 into $9,400. COUNTRY Bond Fund (CTLAX) and COUNTRY Growth Fund (CGRAX) will be liquidated “on or before October 31, 2013, and in any event no later than December 31, 2013.” I have no idea (1) why the word “Country” is supposed to appear in all caps (same with ASTON) or (2) why you’d liquidate a reasonably solid fund with over $300 million in assets or a mediocre one with $250 million. No word of explanation in the filing. The King is Dead: Fountainhead Special Value Fund (KINGX) has closed to new investors in anticipation of an October liquidation. Twas a $7 million midcap growth fund that had a promising start, cratered in the 2007-09 crisis and never recovered. That’s about it from Door County. I’ll soon be back at my desk as we pull together the September issue. We’ll have a look inside your target-date funds and will share four more fund profiles (including one that we’ve dubbed “Dodge and Cox without all the excess baggage”). It’s work, but joyful. It wouldn’t be worthwhile without your readership and your thoughtful feedback. And it wouldn’t be possible without your support, either directly or by using our Amazon link. Our readership, curiously enough, has spiked to 15,014 “unique visitors” this month, though our revenue through Amazon is flat. So, we thought we’d mention the system for the benefit of the new folks. The Amazon system is amazingly simple and painless. If you set our link as your default bookmark for Amazon (or, as I do, use Amazon as your homepage), the Observer receives a rebate from Amazon equivalent to 6% or more of the amount of your purchase. It doesn’t change your cost by a penny since the money comes from Amazon’s marketing budget. While 6% of the $11 you’ll pay for Bill Bernstein’s The Investor’s Manifesto (or 6% of a pound of coffee beans, back-to-school loot or an Easton S1 composite big barrel bat) seems trivial, it adds up to about 75% of our income. Thanks for both! This entry was posted in Mutual Fund Commentary on August 1, 2013 by David Snowball.